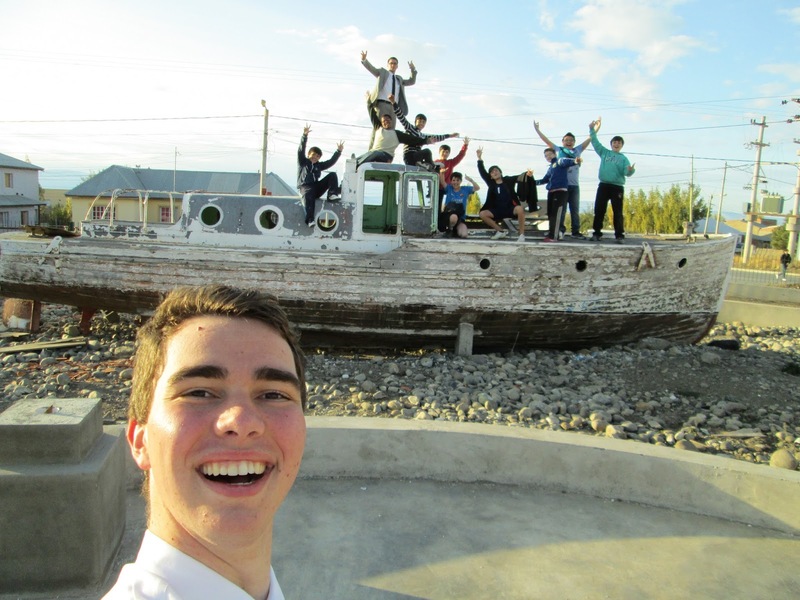 Elder Himes At the End of the Earth: Transfer - To the End of the World! I'M GOING TO THE END OF THE WORLD!!! WHOAHHHH! Ah Yeah. Elder Himes is off to Ushaia! The southern most zone in our mission, and the world, and the universe! Pretty darn cool. Ok, maybe its not that cool. But Im pretty darn excited. Its going to be cold! There will be a lot of snow too! I have really loved my time here in Calafate. I am really going to miss the people here. I have really grown to love a lot of people here. I'm sad to go, but really excited to start something new. Today I have a four hour bus ride to Rio Gallegos. And then, tomorrow morning I have a 9 hour bus ride down to the end of the world. The bus I go on will have to get on a big boat and cross a big ole river. And I'll get to go through Chile. So, its going to be a cool transfer! Well team, I love you all! Have a great week!